In 2012, the Monroe County wastewater treatment facility in Rochester, New York, evaluated the condition of its lube room and found it to be "average." 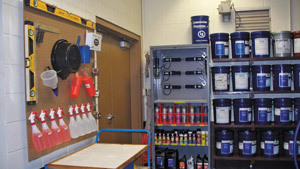 Plant personnel realized there was more to building a lube room than just cleaning up a space and installing oil dispensing and transferring devices. A lot of research needed to be done. A wall was knocked down to make the room bigger. However, the first true transformation occurred when proper inventory tracking of lubricants and supplies was implemented along with the creation of an oil analysis database. Other additions to the improved lube room included a non-slip floor, controlled access, adequate illumination and proper warning and safety signs. An upgraded heating, ventilation and air-conditioning (HVAC) system was added for a controlled climate. Most importantly, the room was kept clean to prevent potential contamination. The facility also evaluated where and how lubricants were stored. By placing lubricants in a climate-controlled environment, the plant found it could reduce chemical degradation and oxidation. 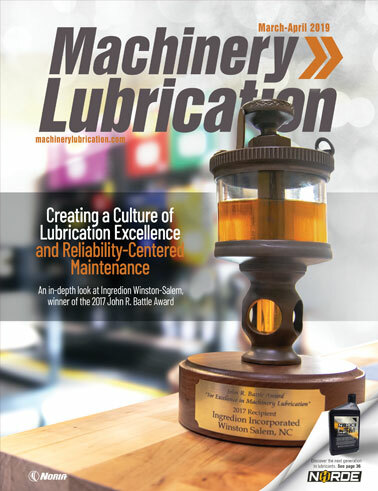 Rotating oil supplies and using the first-in/first-out (FIFO) method also prevented lubricant degradation. a breather, filter, suction hose and pump per tank. The storage area was designed to accommodate cabinets for grease guns, spray lubricants, level gauges, drain ports, equipment tags, safety equipment, filters, etc. 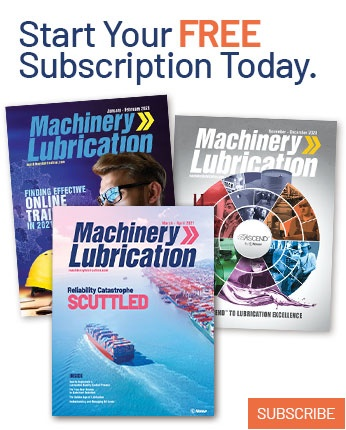 Desiccant breathers for gearboxes were used to eliminate water-contaminated oil, while new color-coded lubricant transfer containers helped ensure the accurate delivery of clean lubricant from bulk storage to the gearboxes. A base oil cleanliness benchmark was established with the help of a new oil storage and dispensing system. The system incorporates a breather, filter, suction hose and pump per tank, as well as safety features such as spill containment, auto shut-off dispensing faucets and fire-safety hoses and valves. Above all, the staff's attitude was instrumental in creating a successful lube room, as personnel were willing to do whatever was needed to accomplish the goal.